Warwick School is a busy site, and there are evenings when there are several events taking place. This puts pressure on car parking space. 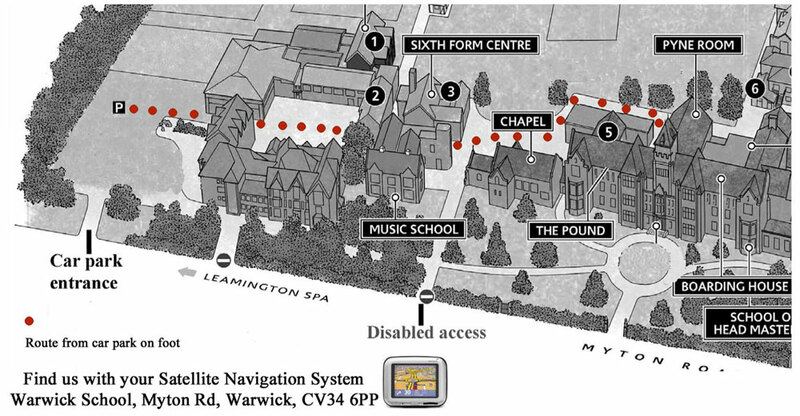 If the Junior School car park is full, please try the Bridge House Theatre car park at the western end of the site. 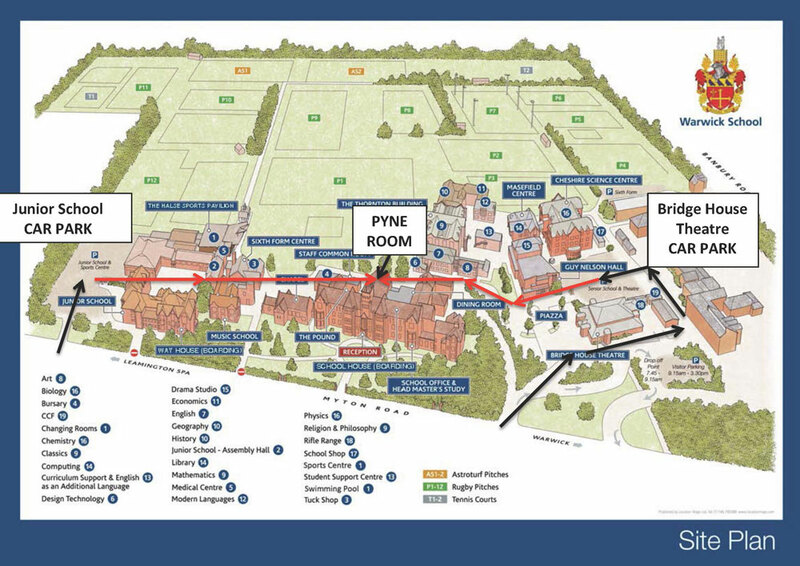 It is only a marginally longer walk from there to the Pyne Room. Black routes indicate driving; red routes walking.